President Sirisena’s first state visit to China risks being overshadowed by the debate over Colombo Port City. 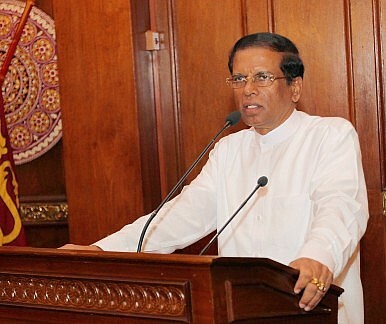 Both sides will be looking to resolve the issue during Sirisena’s visit so that they can move China-Sri Lanka relations beyond the increasingly complicated Port City dispute. What are the sources and impact of China's economic leverage over Sri Lanka? China Stresses Ties With New Sri Lankan GovernmentChina's $1.4 Billion Port City in Sri Lanka Gets the Green LightChinese Company Takes a Bath as Sri Lankan Port Project ScrutinizedChina Continues to Court Sri LankaA Game Changer for China and India in Sri Lanka?